Greece handed over the Olympic flame to the Brazilian authorities during a ceremony in Athens. The Olympic torch will arrive in Brazil next week and then will travel around the country ahead of the games in August. Rio de Janeiro Mayor Eduardo Paes says the Olympic park is almost ready but there are concerns about delays to some projects. The impeachment proceedings against Brazilian President Dilma Rousseff mean there is uncertainty as to who will be in power during the Olympic Games. Brazil’s unemployment has also risen to about 10% as the economy has contracted for the second year in a row. Rights group Amnesty International has also criticized the number of killings by police in the city’s shantytowns, known as favelas, where residents were “living in terror”. Officers have killed 11 people in the favelas so far this month, Amnesty said, and were behind 307 such deaths last year. 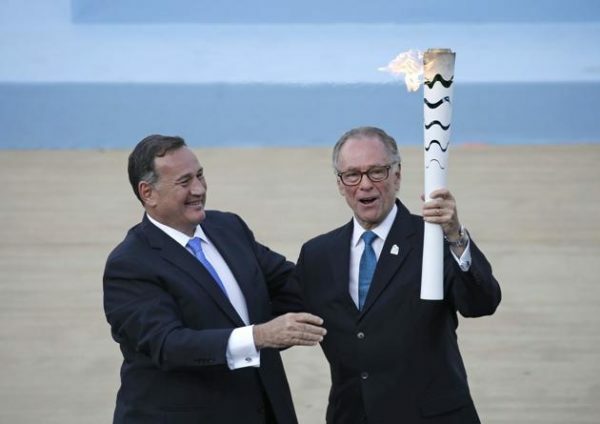 Nevertheless, the head of Rio’s organizing committee Carlos Nuzman said the city was “ready to make history” as the flame was handed over to the Brazilians. The Olympic torch will arrive on May 3 in the capital Brasilia after a short stopover in Switzerland.